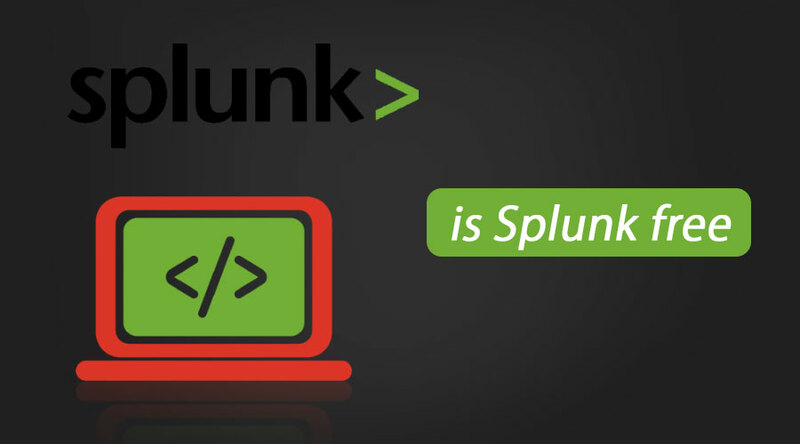 Splunk is a software platform, that helps an organization to search, monitor, visualize and analyze big data generated in gigs from websites, servers, mobile applications, sensors, networks etc. It can visualize your real-time environment, identify data patterns and can help you with business intelligence. On top of that, it is a highly scalable solution. To visualize data into Splunk, it starts with ingesting the data. Splunk free version invokes relevant program to handle the varieties of log data format like Apache log, Tomcat log, db2 log etc. Once data is brought into Splunk, it transforms the dataset into a series of events. Splunk is known for handling time series data very well. 3 a. Universal Forwarder(UF): This is a Splunk agent which is usually installed on non-Splunk systems to collect data locally. However, it can’t index/parse the data. 3 b. Heavyweight forwarder(HWF): This is a sample instance of Splunk with far more functionality. It can collect data locally, forward it and index it. In short, parsing also gets done. Deployment Server: This helps Splunk to be used in the distributed environment. When data comes to Splunk from a data source, it breaks it into chunks of 64K and annotates each block to metadata keys. Metadata keys are the combination of hostname, source & source type of data. Data storage comprises data parsing & indexing. When data gets examined, analyzed and transformed into relevant information, this process is known as data parsing. Splunk in the same way, takes data and breaks it into data streams and further into individual events. Indexing comes only after parsing, which means Splunk free version writes the parsed events to disk index. Indexing gives the facility of easy data accessing and searching. Search is the core functionality of any tool/app from a huge chunk of data. Splunk has availability of the extensive set of commands, functionalities, and arguments to enable you with lots of option of the filter, modify, group and reorder your searching. Splunk free version is very well capable of searching in a single line or multiline events. Splunk generates graphs, reports, dashboards, alerts in form of nice visualization, from the correlation of real-time data in the searchable repository. Proactive Activity Monitoring: Splunk free version helps to monitor and track user activities & privileged accounts. This can help an organization to identify the suspicious activity/threats in real time manners. Security & Fraud: Detection and investigation of malware or other suspicious activities are easier by Splunk. Along with detection, it also shoots the remedial activities specific to the dashboard and in relevance to the reports. This is done by capturing granular performance and event data from the virtualization layer and correlating them with other entities like datastore. Monitoring systems: Splunk free version helps you identify when your critical systems may go down. This is done by analyzing the logs send between the systems. Detect Exfiltration: It helps in isolating the events, logs that require more attention. Capacity Monitoring and Planning: With help of Splunk, you can fully visualize the environment and recognize the resources which are under/over utilized. You can visualize the trend of your resource usage and can predict resource usage. Real-time reallocation of resources could also be planned for huge traffic management. Inventory Monitoring: Splunk free version helps you keep track of all configuration items in your environment like hosts, virtual machines, data stores, and network. Change Tracking: Splunk helps in tracking the changes in topology, networks, resources etc. You can compare various metrics to understand the problem and hence can make a fact-based decision. Splunk is proprietary whereas Spark is an open source tool. Splunk is for collecting machine-generated data and to visualize it. Spark is in memory processing of big data. Splunk is used in streaming mode, while Spark works for streaming (e.g. real-time streaming for any app) as well as for batch mode. Many times people compare Splunk with Tableau when they view Splunk as the visualization tool. Knowing the difference can help you in taking the decision which one goes best for various scenarios of an organization. Splunk is an end to end solution. From the collection of data to indexing and visualization of data (structured, unstructured or semi-structured data) it performs all. However, Tableau is just a visualization tool. Splunk is basically for machine-generated datasets like ATM, datacenters, IT performance, mobile devices etc. Splunk competitors are IBM LogAnalysis, Micro Focus ArcSight, LogRhythm. Splunk is a very intelligent, dynamic and versatile tool. Gathering the statistics of your business can help you reshape the business in a very efficient way.